Watson’s computer servers stand at IBM. McCormick students have the opportunity to use Watson and build their own applications. 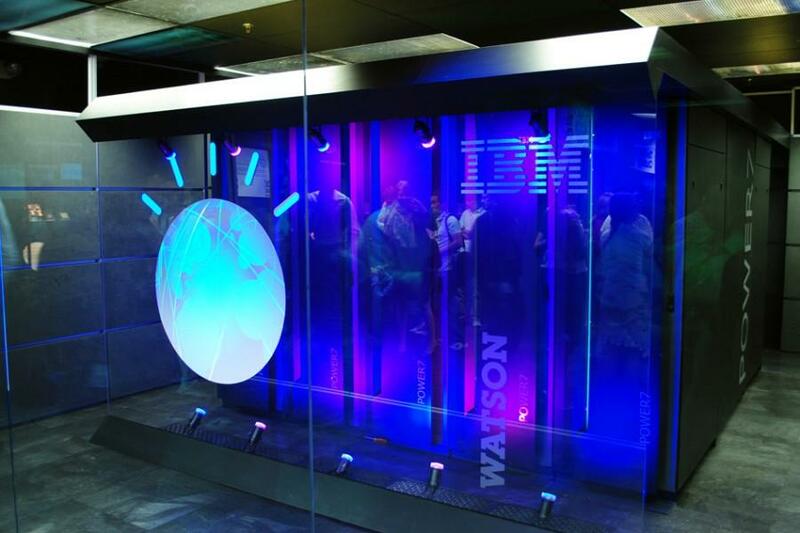 Northwestern students will be able to use and build upon IBM’s prized Watson system through a course offered this fall. Along with seven other universities, NU has received cloud access to Watson, the computer system that famously won the TV show “Jeopardy!” in 2011. The question answering technology can process natural language questions and produce natural language answers, as opposed to a search engine such as Google that simply generates related content. The class, part of the Department of Electrical Engineering and Computer Science, has 30 to 50 students currently enrolled. Prof. Larry Birnbaum is leading the class, along with other computer science and industrial engineering faculty. Students will divide into teams, come up with project ideas and program Watson to execute them, Birnbaum said. Watson began as several servers linked to form a question answering machine. Since IBM connected it to the Internet in 2013, it has become more powerful and accessible. The aim of the class is to build applications on top of Watson in order to solve problems in various industries. Students will compile a corpus of relevant documents for Watson, in addition to a collection of Q&A examples designed to train the system in the subject of the problem they are working on, Birnbaum said. He added that, because the course is centered upon the teams’ projects, most classes will involve the faculty mentoring the teams during presentations and meetings rather than traditional lectures. “This is all on top of designing the user interaction and user interface that will sit between the human user and Watson, so this is a pretty demanding project,” Birnbaum said. One NU team will see the culmination of their hard work at an IBM competition in New York in January, presenting their project alongside teams from the other schools. The winning team will receive seed money from IBM to further develop their idea. Weinberg senior Jodie Zong, who is enrolled in the class, is interested in exploring the intersection of artificial intelligence and the health care industry, for example, robots that are capable of performing certain medical operations with better accuracy than human beings. She said she is equally excited about the chance to work with Watson itself.